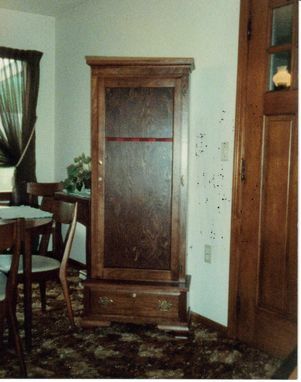 First is a Cherry Gun Cabinet with framed glass door and a drawer at the bottom. Cabinet has nicely curved feet in front. 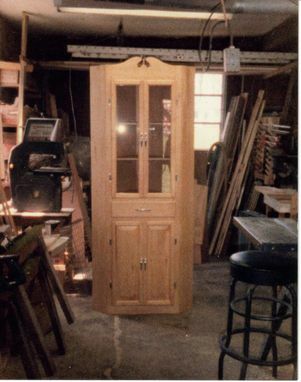 Next is a Pine Corner Cupboard with double glass doors on top and double raised panel doors on the bottom. 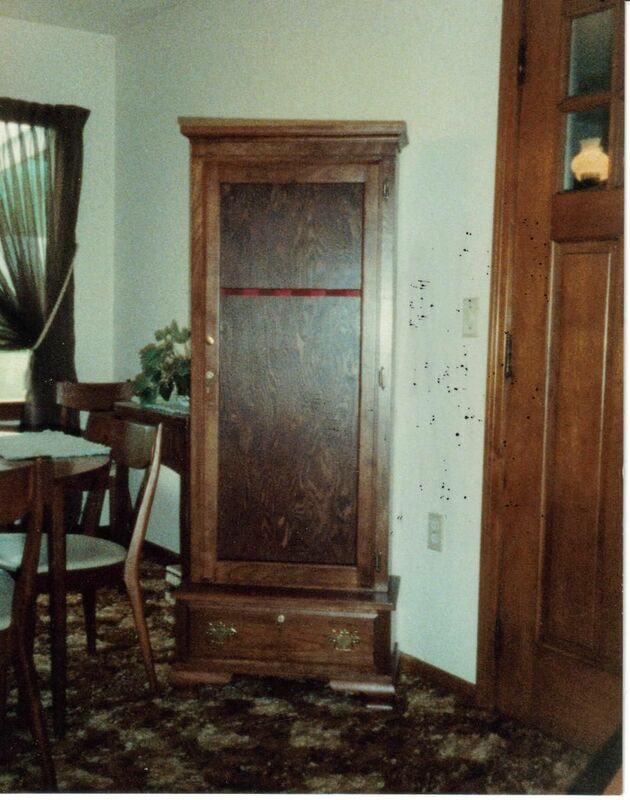 Customer applied own finish.